When Ryoko Akama was electrocuted recently, her brain registered the shock in the split second before her body was jack-knifed by convulsions, like lightning before a clap of thunder. Ryoko, who moved to Huddersfield six years ago from her native Japan, is knee-deep in house renovations with husband Yuki. DIY is a recurrent theme. 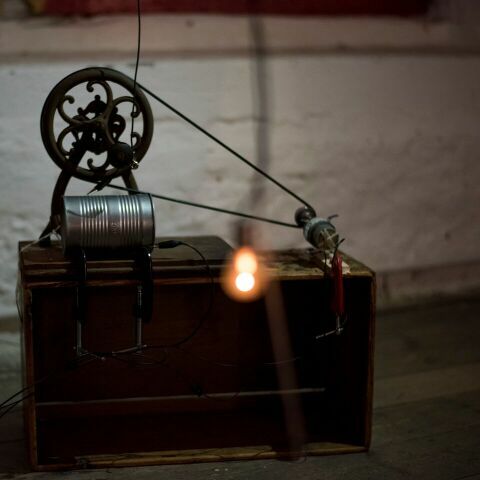 Her singular sound installations and minimalist music interventions frequently employ handmade Heath-Robinson style instruments fashioned out of fragments and small found objects. Growing up in Sendai, north-east of Honshu, Ryoko watched pop music on television, the Japanese genre known as enka, heavily stylised ballads which use the traditional Asian pentatonic scale and weave overwrought, sentimental tales of love and loss. An inspiration from the beginning has been Yoko Ono, not just because of her connection with The Beatles but as a major avant-garde artist in her own right. (Ono was involved with Fluxus in the sixties, notably creating Cut Piece and short-text work Grapefruits). In interviews, Ono has expressed frustration at the gender conformism of Japanese society, a frustration shared by Ryoko. I ask Ryoko if this enthusiasm for retro-technology is specifically Japanese, a form of nostalgia for an age yet to come? Ryoko has been reading non-fiction books by female journalists about Afghanistan, Iraq and Syria. I ask if this interest in conflict feeds into the binary tussle between rage and silence in her work (her piece FIR3 builds from a tonal crackle to an intense blistering howl of white noise). This Saturday, Ryoko will perform at the closing event in Pavilion’s Interwoven Histories exhibition at Leeds Industrial Museum. It comes on the back of three months reading about and listening to the experiences of refugees, asylum seekers and former garment workers in Leeds. “I’m curious about all these elements happening in people’s lives,” she says. An installation, loiner or, which figured earlier in the exhibition’s run, was composed using found objects and punctuated by fragments of taped interview. 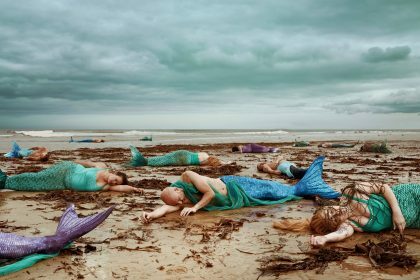 It represented a new approach by the artist: “Having these voices is my first attempt to have some form of reality in my work,” she reveals. 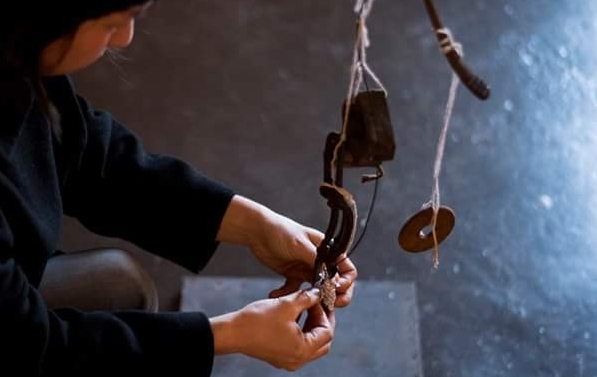 Ryoko Akama performs at Leeds Industrial Museum at Armley Mills, 2.00 – 3.30 pm, Saturday 31st March. Details here. Throughout the exhibition, Pavilion has been co-ordinating a fascinating blog. We particularly enjoyed reading about the secret history of the city’s sound-systems. The blog can be found here.